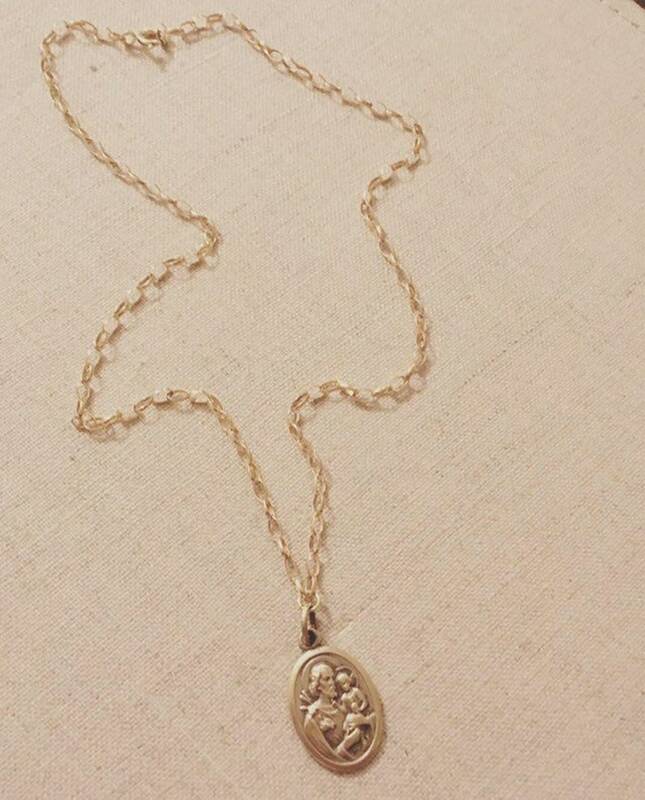 Vintage Italian St. Joseph medallion charm in a gold tone color (I believe it may be brass or bronze) on a gold filled oval link chain. 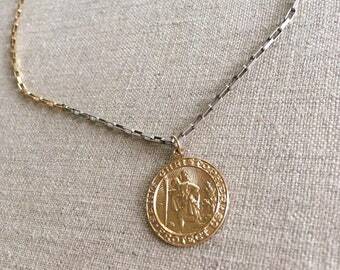 Medallion is two sided and features an Image of St Joseph and a child on one side and Pray for us on opposite side. 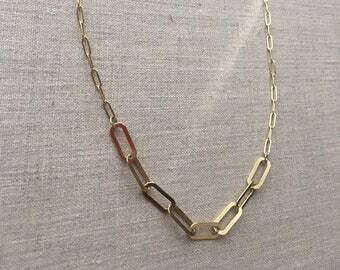 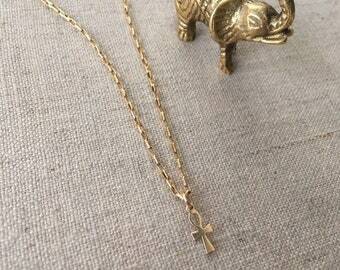 Necklace length 18” (adjustable to shorter).